The AJL had challenged the December 21 order of a single judge bench that dismissed its plea against the Urban Development Ministry, which on October 30, 2018, had said that AJL’s 56-year-old lease on Herald House has ended and it must vacate. 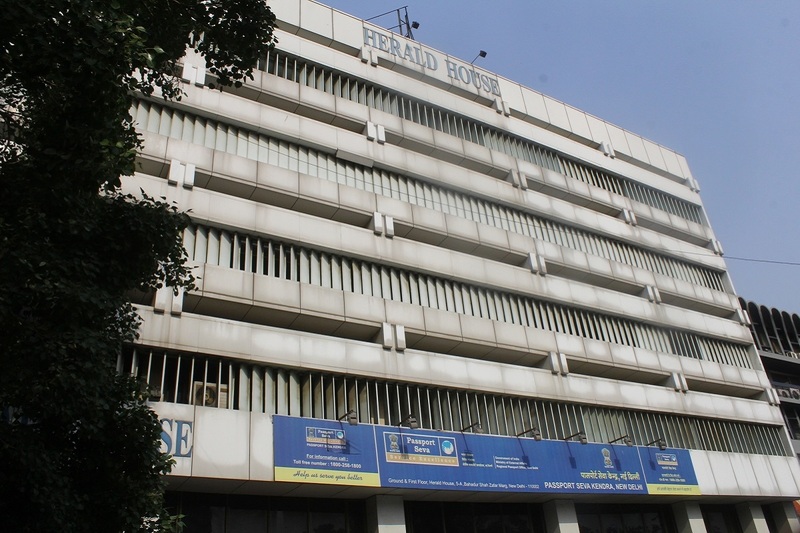 The Delhi High Court on Thursday directed Associated Journals Ltd (AJL), publisher of National Herald newspaper, to vacate its Herald House premises here. The AJL had challenged the Centre’s decision asking it to vacate, but a Division Bench of Chief Justice Rajendra Menon and Justice V Kameswar Rao rejected that plea, directing it to evict the building on the Bahadur Shah Zafar Marg at ITO. The Centre had requested the court to dismiss the appeal saying that Young Indian Company, in which Congress President Rahul Gandhi and his mother Sonia Gandhi are shareholders, was formed with an intention to take over Herald House. The single judge in its order on December 21 had noted that by transfer of AJL’s 99 per cent shares to Young Indian Company, the beneficial interest of AJL’s property worth Rs 413.40 crore stands clandestinely transferred to Young Indian Company. However, Senior Advocate Abhishek Manu Singhvi defended AJL and denied the allegations. He also told the court that the digital version of the newspaper was started on November 14, 2016, while the publication of weekly “National Herald on Sunday” was resumed on September 24, 2017. The government has said that National Herald was revived only after the Centre sent a notice for inspection of the property in September 2016.